The results of a recent survey by Packt Publishing are clear: Python is the top programming language for data in 2018. Here's what to know. 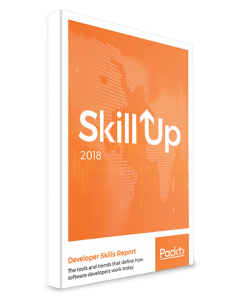 Packt Publishing, publisher of software learning resources, has revealed the results of its 2018 Skill Up survey in a new report—including the top programming language for data. From what programming languages, frameworks, and libraries are most used, to job satisfaction and what it’s like to work in the software industry today, the report offers a snapshot of what matters to software developers in 2018. 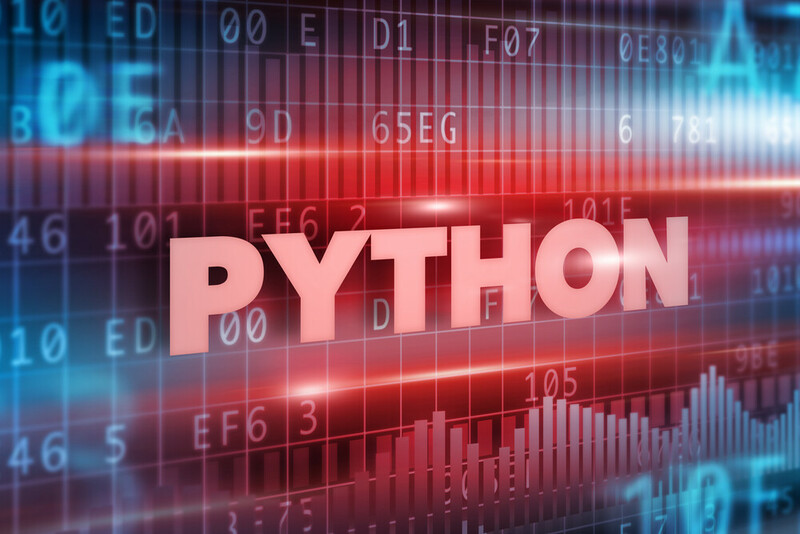 Python is the most widely used programming language by data professionals and is leaving behind its traditional rival R, which lags behind it in third place. Python once again is at the top of the list of what data specialists said they are planning on learning in the next 12 months. Microsoft Excel continues to be a highly popular tool for data analysis, especially when dealing with data with hundreds and thousands of records. Now, let’s look at these observations in more depth. Python has once again been voted the number one language of data. It has over double the uptake of its traditional rival R, which lags behind it in third place. Python’s ease of use, powerful tools and libraries, and use outside of the data field make it almost mandatory to know and use in 2018. Unsurprisingly, 52% of Python developers claimed that they were in a full-time job. 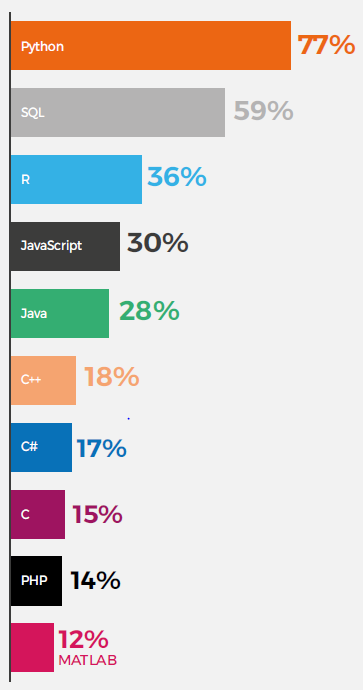 So developers out there, if you’re well versed with Python, you’re more likely to be hired. Talking about job roles, developers who responded held the role of full-stack developers (34%) or back-end developers (29%) while 14% were data scientists and 11% were data analysts. Python is a language that is still gaining popularity every year. 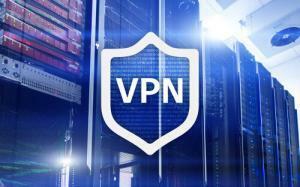 It offers great job security, but also has a large learning curve that many developers struggle to tackle. The good news is that there are a number of resources that can help you learn Python. Microsoft Excel continues to be a highly popular tool for data analysis, especially when dealing with data with hundreds and thousands of records. Almost 53% of the respondents prefer having Excel in their analysis toolkit for their day to day tasks. As per the survey results, eight of the top ten most used data tools are derived from or utilize Python. 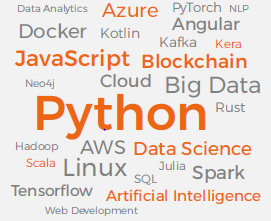 Python finds a wide adoption across all spectrums of data science – including data analysis, machine learning, deep learning, and data visualization. 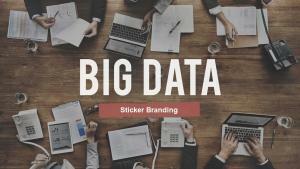 What Is The Next Big Thing In Data? Python, once again, is the most popular language which data specialists are planning to learn in the next 12 months. In our survey, we found deep learning to be one of the most valuable skills to have for any data scientist. Interest in PyTorch neatly follows on from the rise of NLP. Built by Facebook, PyTorch is a powerful neural network library that’s making incredibly sophisticated deep learning systems accessible to engineers and data scientists. Natural language processing is currently one of the most important areas in data science. Sixty-six percent of respondents said that they were incorporating deep learning techniques into their data analysis. 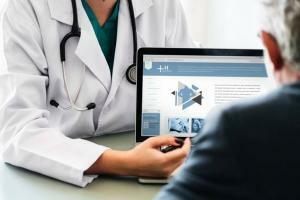 Having embraced the power and potential of machine learning, the industry is now pushing even further into neural networks and machine intelligence outside of the lab. Pushing machine learning algorithms further and further is going to be one of the key challenges for every data professional over the next year and beyond. For some, this will mean getting deeper into the complexities of incredibly sophisticated AI systems. 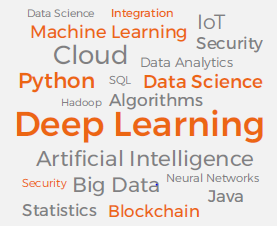 For others, especially those starting out in data analysis, becoming acquainted with deep learning – via TensorFlow – will be an important step into deep learning. Spark is known to be the best data platform out there that allows you to process huge amounts of data at immense speed and has already taken over from Hadoop. Data professionals view Blockchain as revolutionary, and 74% of respondents working in Data were in favor of a Blockchain revolution – more than both app developers and web developers. 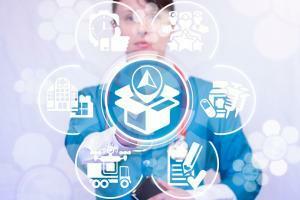 Fifty percent of the respondents say that the worst part of data analysis is cleaning data. Richard Gall is co-editor of the Packt Hub. He’s interested in politics, tech culture, and how software is being used by modern businesses.